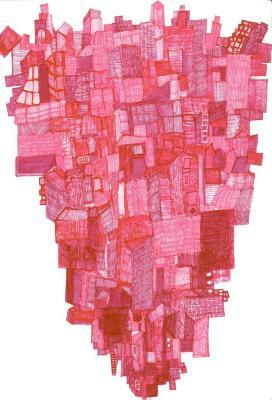 Claudia Sbrissa, Suspended City, Pen, marker, highlighter on paper, 14 in X 9.5 in, 2005. 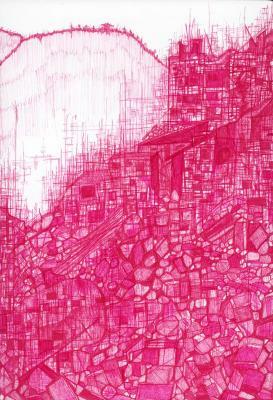 Claudia Sbrissa, Mountain & City, Ink, marker, 14 in X 9.5 in, 2005. 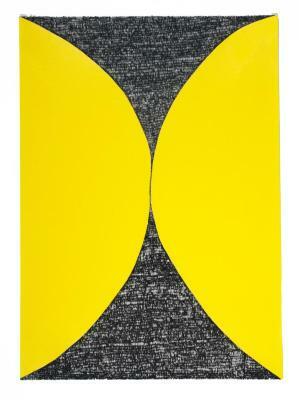 Claudia Sbrissa, Bull’s Eye, ink, marker, highlighter, 14 in X 9.5 in, 2005. 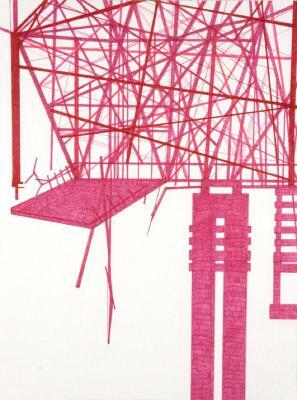 Claudia Sbrissa, Cranes, pen, marker, highlighter, 14.5 in X 10 in, 2007. 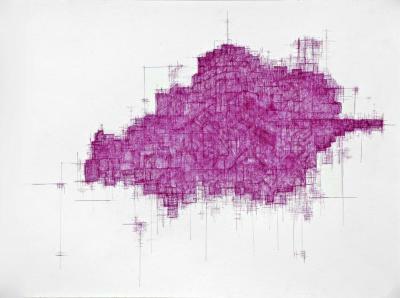 Claudia Sbrissa, Water Towers, pen, marker, highlighter, X , 2007. 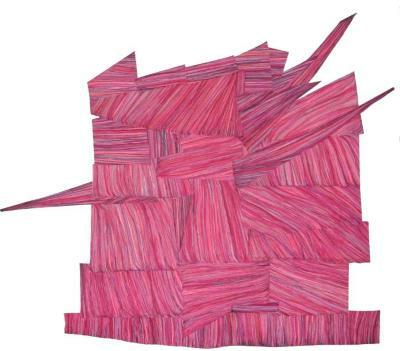 Claudia Sbrissa, Fort, pen, marker, collage, 14 in X 17 in, 2008. 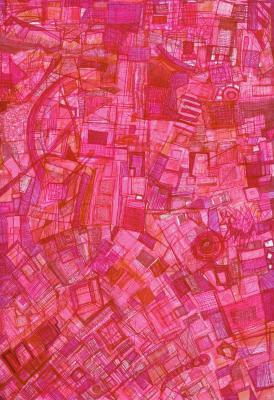 Claudia Sbrissa, Lamina, stamping, 10 in X 9 in, 2003. 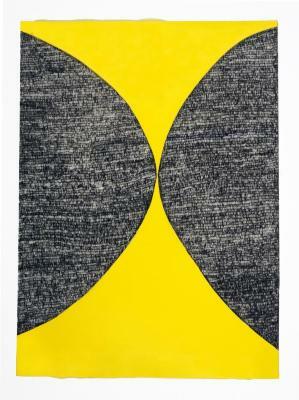 Claudia Sbrissa, Repetition, Stamping, 9 in X 10 in, 2003. 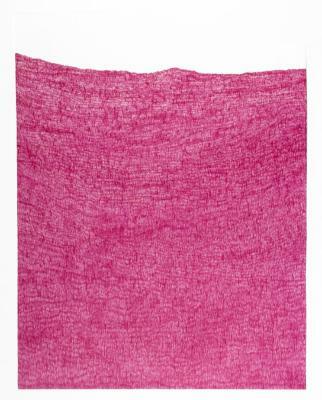 Claudia Sbrissa, Linger, stamping, 9 in X 10 in, 2003. 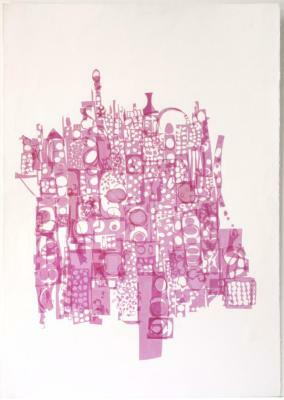 Claudia Sbrissa, Adam, Ink and vinyl on paper, 11.75 in X 15.75 in, 2009. 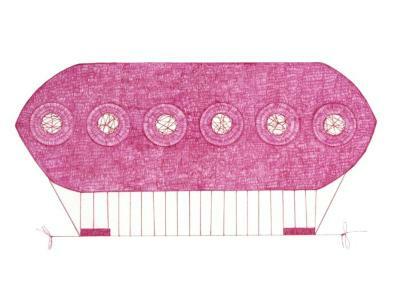 Claudia Sbrissa, Zeppelin, Ink, thread, 10.75 in X 14 in, 2012. 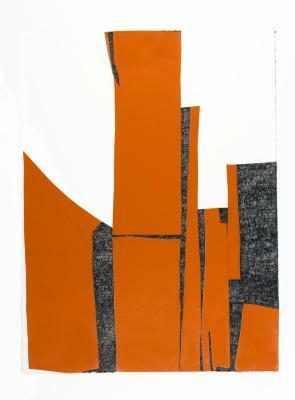 Claudia Sbrissa, Orange Stacks #2 (In the KG series), ink and vinyl collage, 15 in X 11 in, 2011. 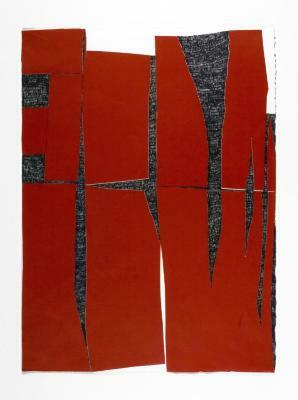 Claudia Sbrissa, Red Stacks (In the KG series) , ink and vinyl collage, 15 in X 11 in, 2011. 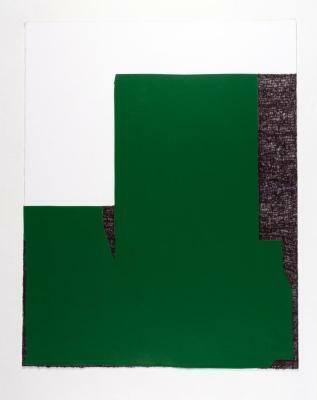 Claudia Sbrissa, Green Stacks, Small (In the KG series) , ink and vinyl collage, 15 in X 11 in, 2011. 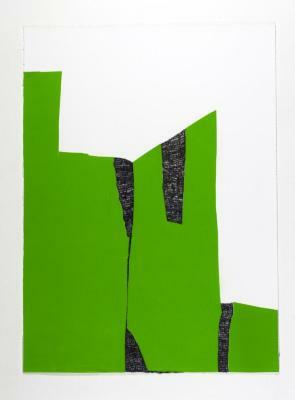 Claudia Sbrissa, Green Form #1 (In the KG series) , ink and vinyl collage, 15 in X 11 in, 2011. 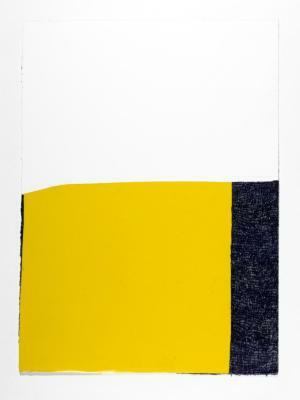 Claudia Sbrissa, Yellow Block (In the KG series) , ink and vinyl collage, 15 in X 11 in, 2011. 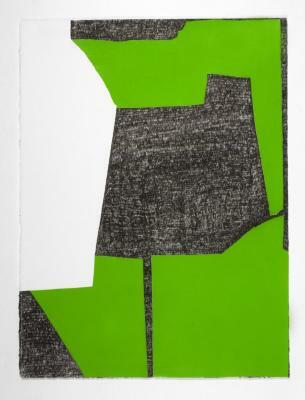 Claudia Sbrissa, Green Form #2 (In the KG series), ink and vinyl collage, 15 in X 11 in, 2011. 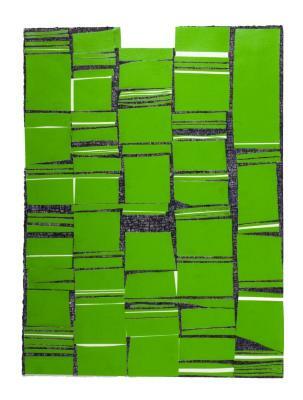 Claudia Sbrissa, Green Rectangle (In the KG series) , ink and vinyl collage, 14 in X 11 in, 2011. 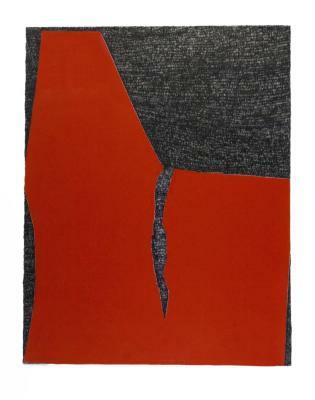 Claudia Sbrissa, Red Tear (In the KG series) , ink and vinyl collage, 14 in X 10.5 in, 2011. 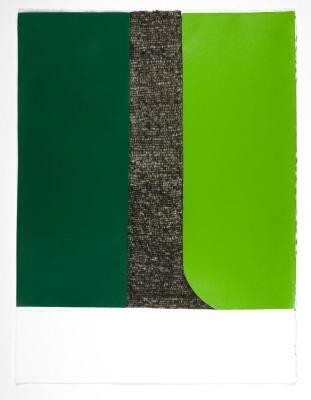 Claudia Sbrissa, Green Forms (Dark/Light) (In the KG series), ink and vinyl collage, 14.75 in X 11 in, 2011. 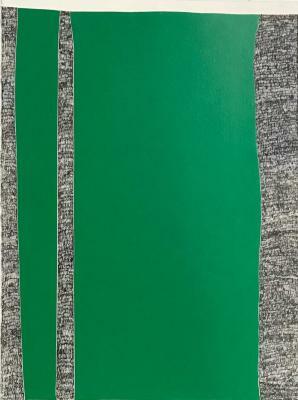 Claudia Sbrissa, Forest (In the KG series) , ink and vinyl collage, 14.75 in X 11 in, 2011. 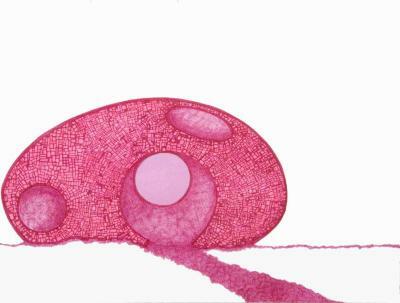 Claudia Sbrissa, Brazil, ink on paper, 14 in X 10.75 in, 2011. Claudia Sbrissa, The Bridge is Out, Ink, 15.5 in X 11.75 in, 2009.